Children and adults play in it while they snowboard, ski, build make-shift igloos and lie on the ground and create angels. Yet, being outdoors in snow, particularly when removing the cold, white stuff from around vehicles, driveways and sidewalks, can pose health risks if people do not use snow removal equipment properly. Medical News Today reports in their January 23, 2009 “Smart and Safe Snow Shoveling” article that annually over 100,000 people in North America alone are injured removing snow using a shovel or snow blower. The United States Center for Disease Control (CDC) reports that following a December 1982 blizzard in Denver, Colorado where 24-36 inches of heavy snow covered the area, 26 people visited hospitals due to injuries related to using a snow blower. Fourteen of these 26 injured persons had a limb amputated while using a snow blower. 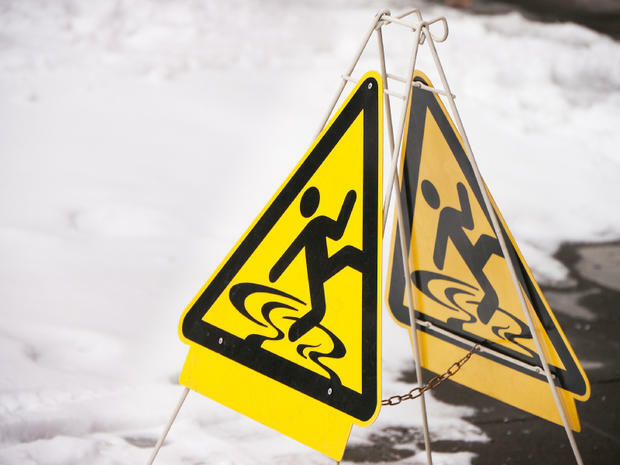 Shoveling snow can also present its own set of health hazards. Each year people run the risk of over exerting their heart while they perform what might be considered a simple act – shoveling snow. In their “Extreme Cold: A Prevention Guide to Promote Your Personal Safety and Health” brochure, the CDC states that, “cold weather puts an extra strain on the heart.” Even more, specialists at Spine Universe are far too familiar with back injuries related to shoveling snow. Avoid cigarettes, caffeine and heavy meals prior to removing snow. These events, particularly consuming caffeine, can cause the heart rate to increase. Cigarettes and caffeine can also cause blood vessels to constrict. Wear a good hat and pair of gloves. New York City’s Office of Emergency Management and Spine Universe report that most body heat is lost through the head. If hats and gloves become overly wet or cold while outdoors, remove and replace them with a dry, warm hat and glove pair. Take breaks. When people feel out of breath or icy cold, they are encouraged to go indoors. People who are outdoors might find it easier to warm their car, turn on their favorite radio station, and relax for five to 10 minutes before they resume removing snow. People who live alone are encouraged to let a neighbor, friend or relative know when and where they are going outdoors to remove snow. That way, if the person is not back home after a certain amount of time, their friend, relative or neighbor will know where to go to check on them and insure that they are okay. Lift the snow with one’s legs and not with the back. Bend one’s knees and turn in the same direction that one is placing the snow. Because the average shovel holds approximately 15 pounds of snow, people are advised to pace themselves when removing snow. Follow instructions and guidelines that accompany snow blowers. At the start of winter check the equipment to insure that the motor and hand controls are functioning properly. Throughout winter check that the blower is not clogged with snow. Do not stick one’s hands in snow blower chutes to unclog the blower. The blades might still be spinning even though it might sound like they are stilled. Stay hydrated by taking breaks to drink water. Adults and children can have lots of safe fun in the snow. However, when removing snow, people are advised to take a few simple precautions. Consult a physician, dress warmly and dryly, protect one’s back, avoid sticking hands in snow blower chutes, avoid caffeine and cigarettes and drink plenty of water before and while removing snow.